We’ve all been warned about the traffic dangers ofÂ holding a phone while driving. It’s called distracted driving. We are now learning that holding a mobile phone for extended periods (while driving or not) has another negative consequence. Orthopedic specialists are reporting cases ofÂ “cell phone elbow,”Â in which patientsÂ damage an essential nerve in their arm by bending their elbows too tightly for too long.Â Yikes!Â An easy way to avoid this ergonomic issue is to use a headset. If you want to try a wireless headset for your mobile device, there are a plethora of Bluetooth headsets on the market to choose from. It can be mind boggling to try to figure out which one is best to invest in. We believe you get what you pay for with headsets. Many devices look cool online but then when you get them on your ear, they are often not comfortable and/or they tend to fall out of the ear. Â Low-end headsets don’t offer professional sound, so they are not suitable for business. If you buy a cheapie, you’ll probably be replacing it sooner than you planned for a better quality device. 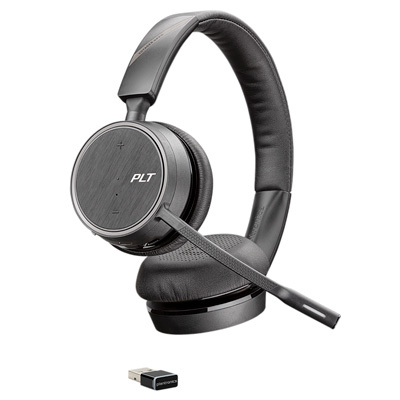 Feel free to consult with the experts at BTP about Bluetooth headsets for business. They can steer you in the right direction and recommend the best one for you.